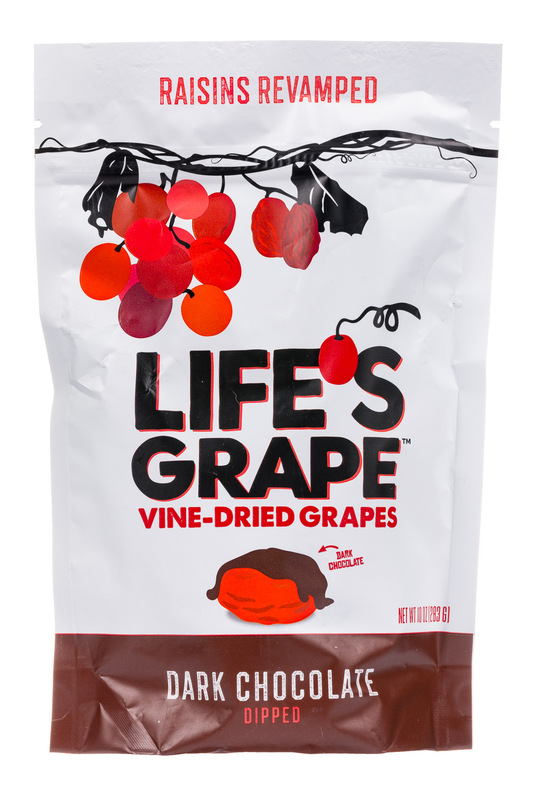 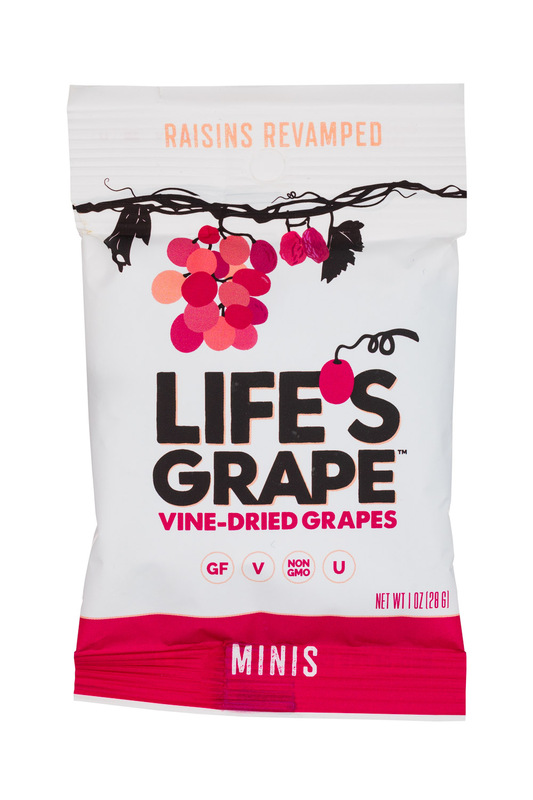 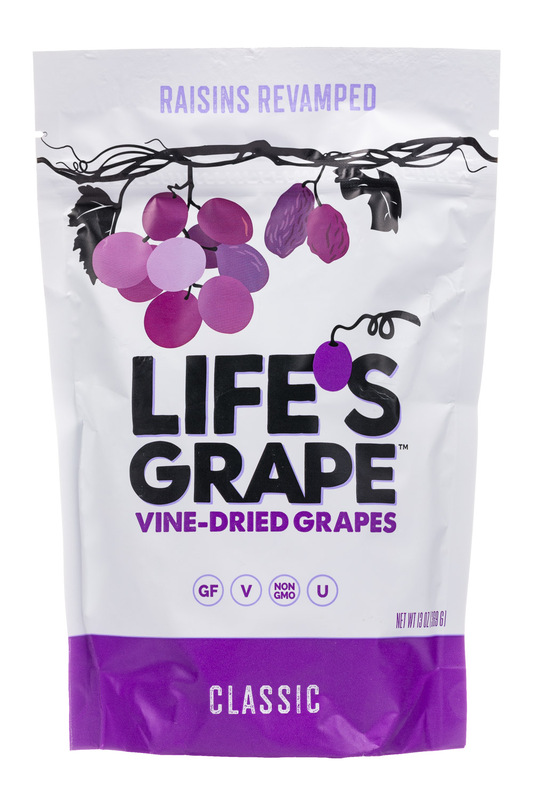 Life's Grape offers a product line of 100% natural and no sugar added vine-dried grapes. 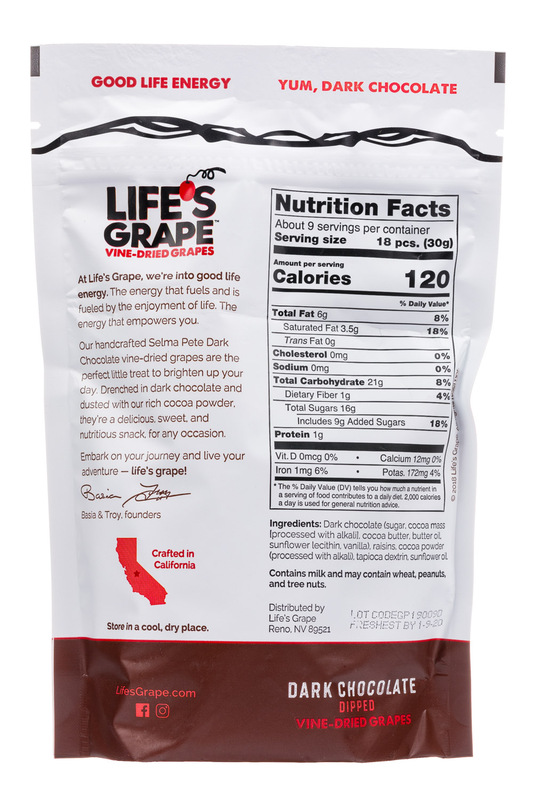 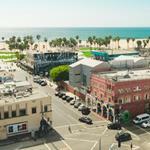 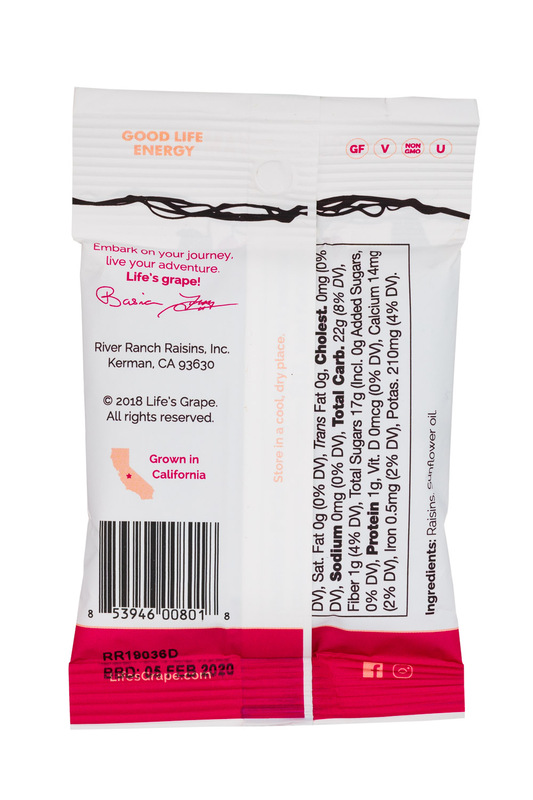 Life’s Grape, a family-owned, California-grown business, is breaking into the world of snacking with their new Selma Pete vine-dried grapes. 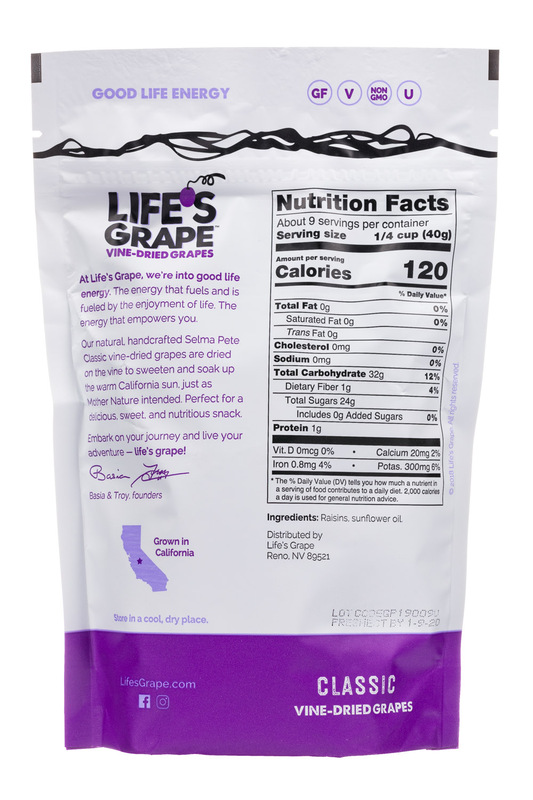 Made with grapes that are dried from soaking up the warm California sun right on the vine, Life’s Grape offers superior flavor and juiciness with every bite.